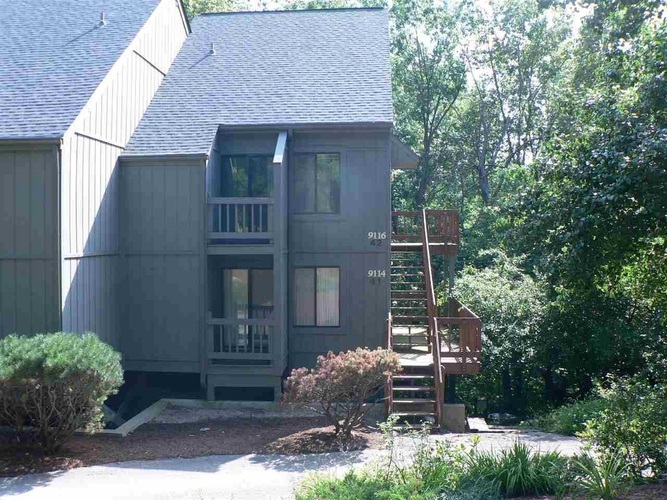 Great 2 bedroom condo with a loft in Woodridge at The Pointe. There is a seasonal water view from the deck. Seller has put in new flooring on the main level, painted the interior and put new counters in the kitchen. The tall ceilings offer a lot of natural light. The fireplace is beautiful with the upgrades seller has done to this area and it is a wonderful focal point in the condo. Seller is moving soon and this could be a potential for quick possession. Call for further details and showings. Directions:37 S To Harrodsburg/Monroe Reservoir Exit. At the bottom of the ramp go right under the overpass to the stop sign. Go left up the hill to the 1st road on your left. Turn on Strain Ridge then entrance to Eagle Pointe will be on your right.